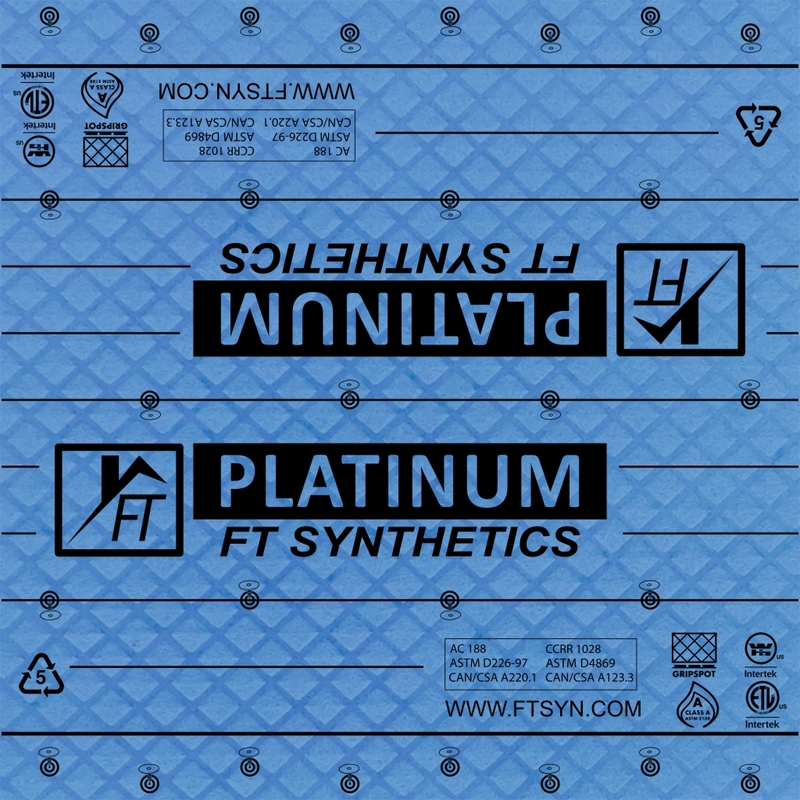 FT Synthetics products come with over two decades of research through listening to our customers, engineers, architects, roofing contractors/installers and home owners. Our products provide ultimate high performance and protection for the installer and your home. Our products are fully synthetic, 100% recyclable, offer superior grip protection, excellent UV resistance, are the most pliable and of course are easy to use. They are light weight but durable and provide the best protection available in the market. PLATINUM is your cost effective and reliable 30 lb felt replacement product, which is easy to carry, and has 5X more coverage per roll as compared to felt. Take advantage of low-cost marketing with our PLATINUM Dual Logo Program and receive majority branding alongside our own logo and contact information. You’ll be recognized in the community as a leader in sustainable roofing practices and gain valuable exposure for your business.